Lid holds the Hand-crafted Gemstone Vial in place. Contains Amethyst, Rose Quartz, Clear Quartz. 44 fl. oz. Hand-Blown Decanter is dishwasher safe. 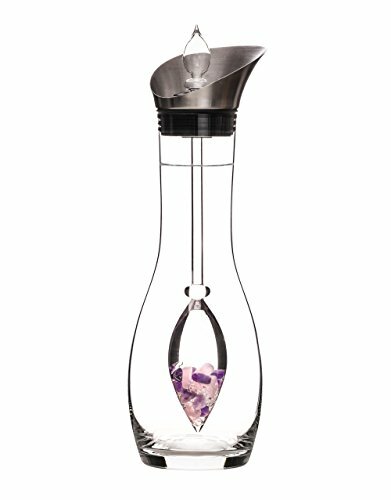 Gemstone Vial, please hand wash. If you have any questions about this product by VitaJuwel, contact us by completing and submitting the form below. If you are looking for a specif part number, please include it with your message. © 2019 - foomapp.com. All Rights Reserved.